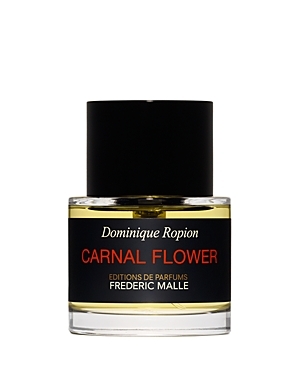 Carnal Flower was inspired by Frederic Malle's aunt, and actress Candice Bergen. Bergen starred in the 1971 movie, 'Carnal Knowledge', with Jack Nicholson. The fragrance, which took two years to create, was created by perfumer, Dominique Ropion and according to the company, contains the highest amount of natural tuberose absolute in any fragrance. There are 108 reviews of Carnal Flower. Beautiful flowers like tuberose, jasmine, ylang-ylang and orange blossom. The tuberose is the Queen of this fragrance. The sweetness of coconut and a citric/musky background. Pure love from me, lasts a long time and is a complement getter. Beautiful but Enormously Overpriced Take on the Legendary Fracas. Notes: Tuberose, Eucalyptus, Coconut, Jasmine, Orange Blossom, Melon, Ylang-Ylang, White Musk, Bergamot. I was gifted a sample of Carnal Flower recently, and I liked it so much that I purchased a full bottle from a very reputable retailer. I do not know how old was the sample gifted me, but I now suspect that it must have been a few years old because the perfume in the full bottle does not seem to be as rich and complex as is the sample, and to my surprise given its price point, its performance is moderate at best. With an amazing six spritzes, projection and sillage were only mild to good for the first hour, and then it very quickly turned into a skin scent. Longevity was also mild to good at roughly four hours. After having read so many reviews that claimed only 1-2 spritzes provided massive projection and sillage for an entire day and half the night or more, I am very disappointed in Carnal Flower's performance. 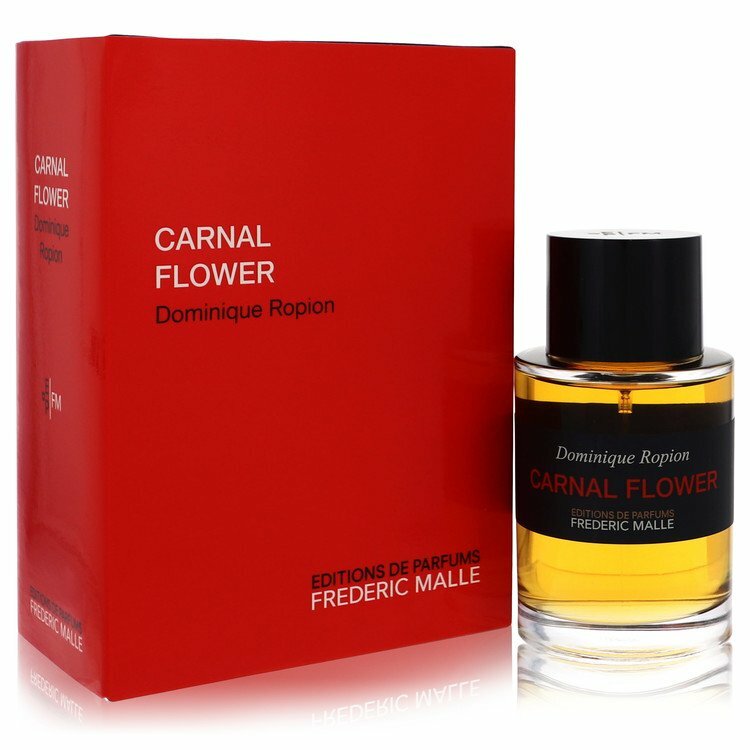 Carnal Flower is a very beautiful perfume, but having worn Fracas many times, I did not find Carnal Flower to be at all unique or even very different from Fracas, and given its mediocre performance, I could not recommend it over Fracas. Perhaps Carnal Flower's lack lustre performance is due to reformulation? Perhaps the fragrance in the original formulation only required 1-2 spritzes to last all day and half the night as some reviewers have stated, but this is not true of the fragrance in my brand new bottle. After 3-4 hours, Carnal Flower is only barely perceptible on my skin, and it smells so similar to Fracas that I find it redundant to have it my collection. If you love and own Fracas, you can probably live without Carnal Flower. It is undoubtedly a beautiful tuberose-centric fragrance, but I do not feel it is worth its price point even if you do not already own Fracas. You can buy roughly three 100ml bottles of Fracas for what it costs to purchase one 50ml bottle of Carnal Flower. In my opinion, Carnal Flower is simply not worth the inflated price. Fracas is just as gorgeous and performs equally as well if not better. I am sorry to say it, but I find Carnal Flower to be little more than a Fracas clone. Madonna's Truth or Dare is also a take on Fracas, but Truth or Dare is dissimilar enough to Fracas to be quite distinguishable in its own right, and it costs significantly less than Fracas which costs significantly less than Carnal Flower, so for those on a strict budget, I suggest purchasing Truth or Dare. If you can afford Fracas, forget Truth or Dare and purchase Fracas instead as it is of a higher quality and is a more beautiful fragrance. Either way, Truth or Dare or Fracas, there is no need to pay almost $300 for a 50ml bottle of Carnal Flower unless you want it for the brand name prestige. A beautifully stunning fragrance. One of the finest perfumes I have ever tried. Great longevity and projection. At first I thought it was too feminine and then I realized that with something this good gender should never come into it. I have chosen to own a decant rather than a full bottle as I only want to keep this for special occasions. Not an everyday fragrance for me! Much has been said about the realism and freshness of this fragrance, and I don't have much to add on that score - except to say that Carnal Flower's freshness is not about soap or naivete, but rather the just-cut essence of stalk and bloom. It really is like walking into a florist's refrigerated room, or strolling through a garden alive with white flowers. There is a lovely green note that prevents Carnal Flower from sliding into sweet sentimentality - it retains its character right through the drydown. Along with Fracas (Piguet) and Tubereuse Criminelle (Lutens), Carnal Flower is among my top three current favorite tuberose perfumes (for vintage, nothing comes close to L'Heure Bleue). Gorgeous, arguably the best of the Malle line. Tuberose perfumes are notoriously temperamental, often unpleasantly screeching for attention. But Carnal Flower gets everything just perfect. At its heart, it's tuberose, but deftly combined with gorgeous orange blossom, rich creamy ylang, and jasmine. There's a light, powdery sparkle as well, but the real magic is the way it combines the tuberose's indoles with leafy greens and woods. The end result is shamelessly floral, but with enough piquant woody undertones to achieve an achingly beautiful balance. There are no member images of Carnal Flower yet. Why not be the first?